Play Plenty of Jewels™ 20 hot online for free now! Does your heart beat for diamonds and jewels? 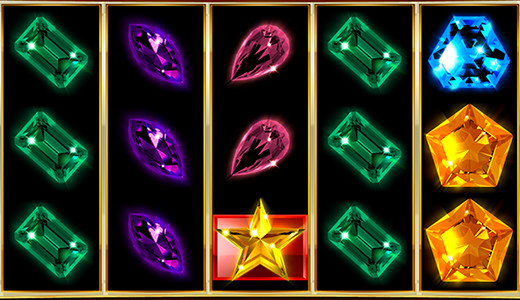 In this case our slot machine Plenty of Jewels™ 20 hot will be your thing - gems in all colours, shapes and sizes turn into Twists on 5 reels and 20 win lines! Let the reels spin and be happy when the glistening gems land in the right order! Your aim: Land 5 identical gems along a win line! The winning pattern consists of single lines, which run from left to right across the reels. You win if you land at least 3 matching jewels along a win line side by side from left to right. Our star-shaped diamond pays in any position regardless of the course of the win lines.